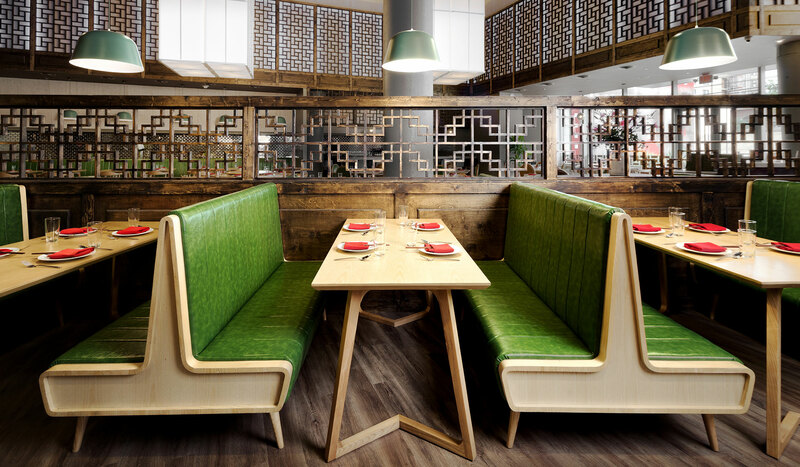 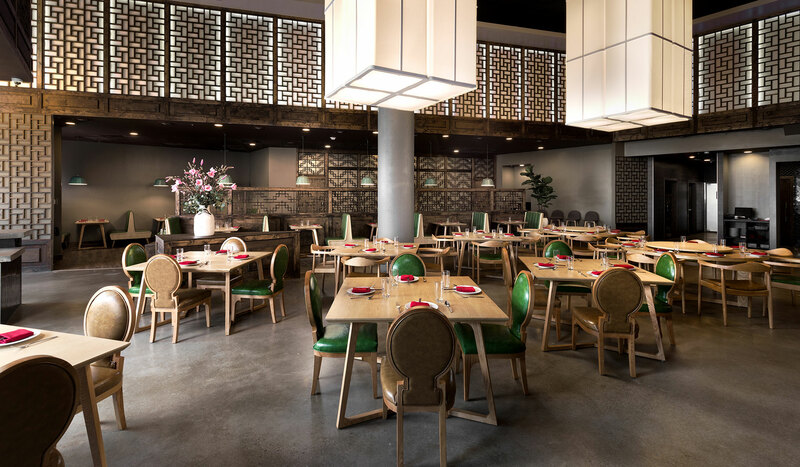 Q by Peter Chang, the renowned chef’s flagship restaurant, blends traditional Chinese materials and craftsmanship with modern Western architectural forms. 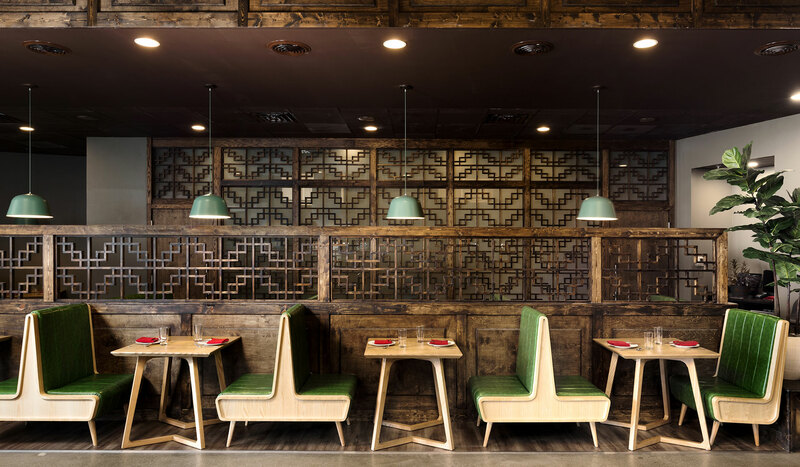 Classically patterned carved wood panels frame the clerestory level of the main dining room with back-lighting used to adjust mood. 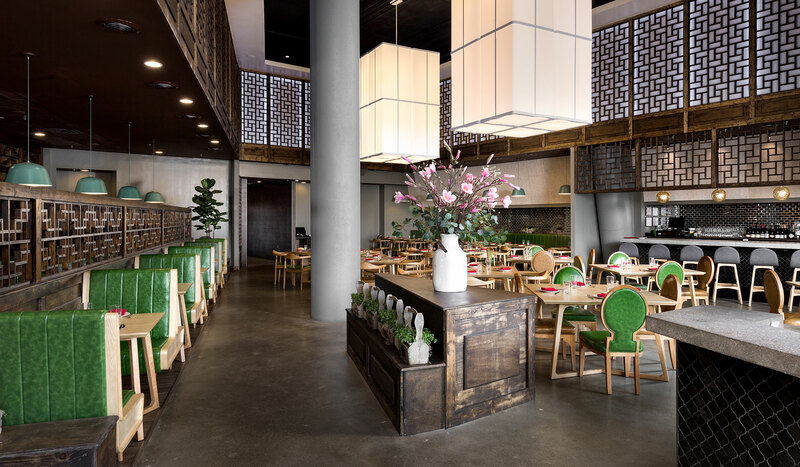 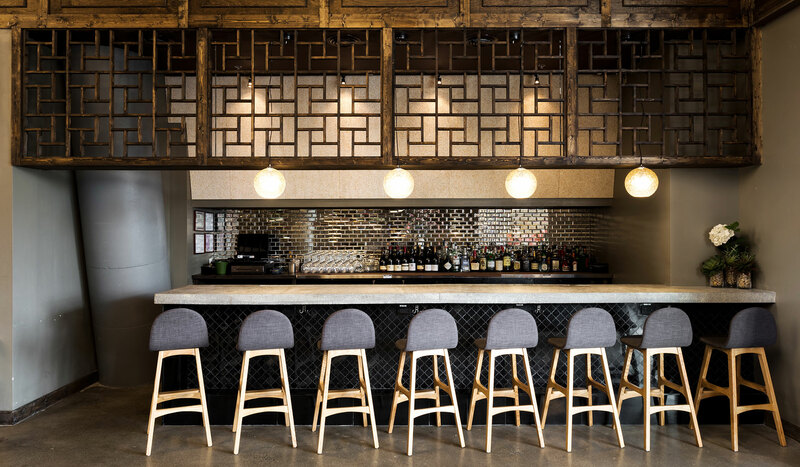 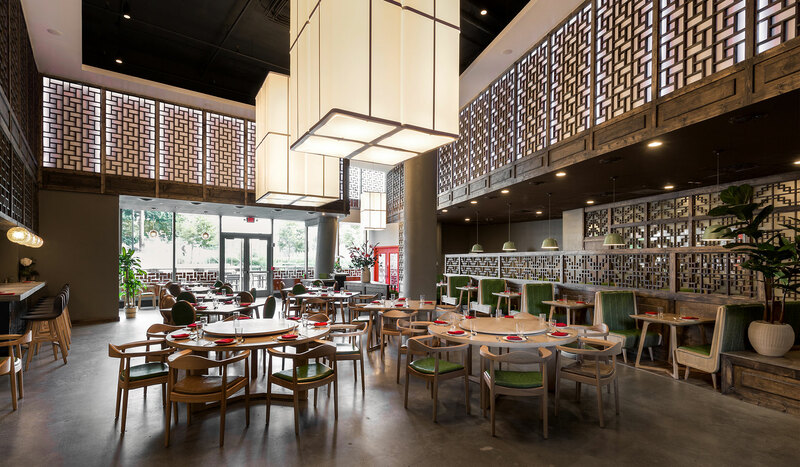 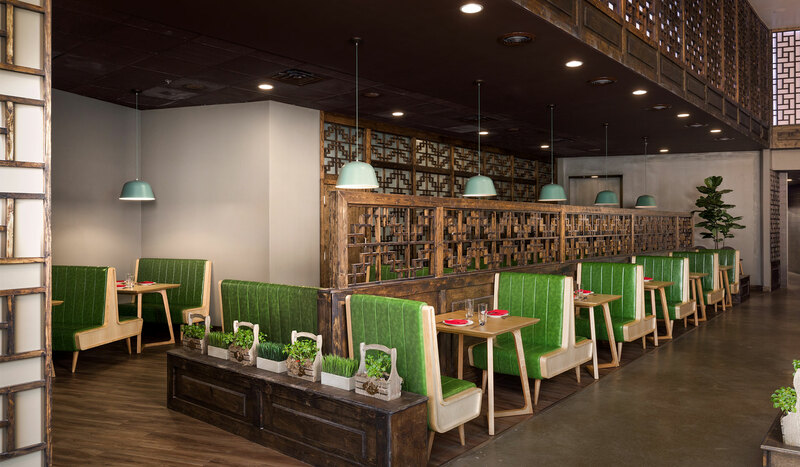 Subtle finishes like the patterned polished concrete floor and natural wood furniture are set off by dramatic custom light fixtures and a Chinese red entry door.